My name is Paolo Tomaselli and I am an italian jazz guitarist and composer with a deep cosmopolitan nature. I lived many years in the USA, first in Boston and then in NYC where I got to perform with many amazing musicians such as Ben Van Gelder, Tony Grey, Lionel Cordew, Ada Rovatti Brecker, Marco Panascia and where I recorded my first album as a leader with a band of great nyc young talents, “Floating Bridges” then released with the Spanish jazz label Quadrant Corner. I recently moved to Barcelona, Spain where I perform in clubs and venues in the area and teach guitar at a local conservatory, El Musical-Conservatori de Bellaterra. In my music I combine my love for contemporary American jazz with my passion for film scores, classical music and Italian music, giving birth to a sound that brings together melodic simplicity and rhythmic complexity. Aside from his career as a band-leader Paolo is also very passionate about writing music for visuals and so far he has composed the music to the theater show entitled “Neighbors” that was performed in Milan and New York City by the OYES overseas company, the score to one documentary entitled “Invisible Victims” for Venezuelan Channel Telesur and the music to a poetic reading by Quebecoise poet Denise Desautels that was recited in Gerona and Barcelona. I have an extensive 5-year experience has a guitar teacher for all levels and styles although I specialize in jazz. I have taught privately in NYC and at the Brooklyn Music House. I am currently holding the position of guitar associate professor at El Musical-Bellaterra Conservatory, the same school where Jeff Ballard and Bill Mchenry used to teach during their Barcelona days. I am also offering private instructions in the Barcelona Metropolitan area. Get in touch with me if you, your friends or your kids want to start learning guitar or if you want to boost your chops! 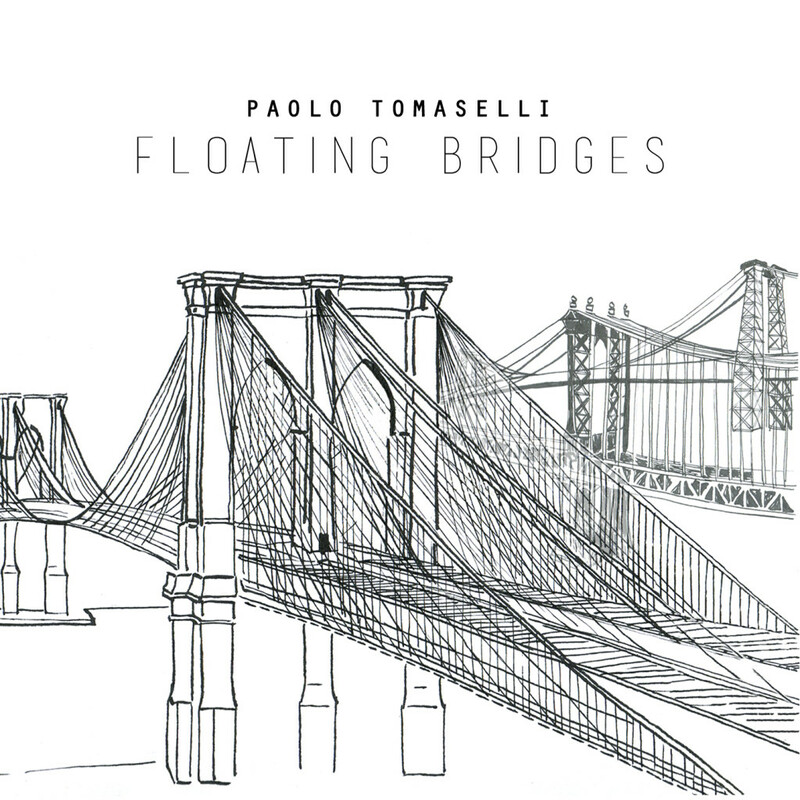 "Paolo Tomaselli presents Floating Bridges, an album that allows us to enjoy the substantial elements of his musical aesthetic offered with undeniable maturity. By means of eight songs, this Milanese musician takes us on, with his guitar leading the way, a journey in which jazz prevails without denying space to other sounds. Music that is profoundly intense, which Tomaselli performs with his enormous ability as an improviser, surrounding himself for the occasion with just the right musicians. His skill with the guitar and ability to make of sound an essential ally is recognized in Floating Bridges, one of today’s jazz guitar albums to enjoy with complete attention."